The Copper IUD is a small plastic and copper device. It’s placed inside the uterus by a specially trained doctor or nurse and stays there for 5 or 10 years depending on the type. Affects sperm movement and survival so they can’t move through the uterus to reach and fertilise an egg. Stops a fertilised egg from implanting in the uterus. The Copper IUD is 99.2 – 99.4% effective at preventing pregnancy. Safe to use if you’re breastfeeding or can’t use hormonal methods of contraception. IUDs can be used by most women, including young women. Copper IUDs don’t protect against STIs but you can use condoms at the same time. There’s a small chance of infection in the first three weeks after it’s inserted which could lead to pelvic inflammatory disease (PID) – PID may rarely affect fertility later on. Periods could be heavier, last longer and be more painful than before. Can anyone use a Copper IUD? 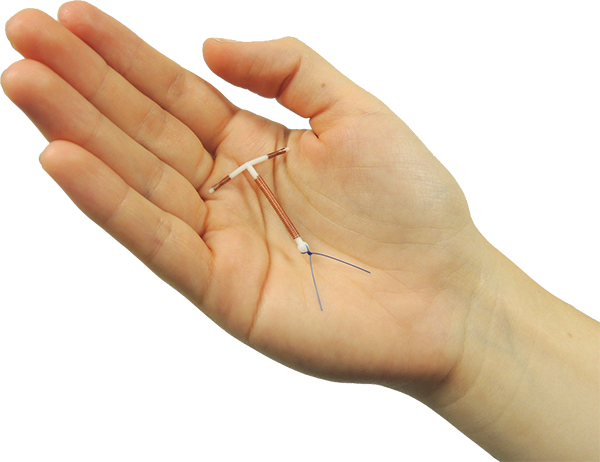 Most women can use a Copper IUD but they are not usually the first contraceptive choice for young women. A Copper IUD must be inserted and removed by a trained doctor or nurse. This can be done at a Family Planning clinic, by some doctors or by a gynaecologist.